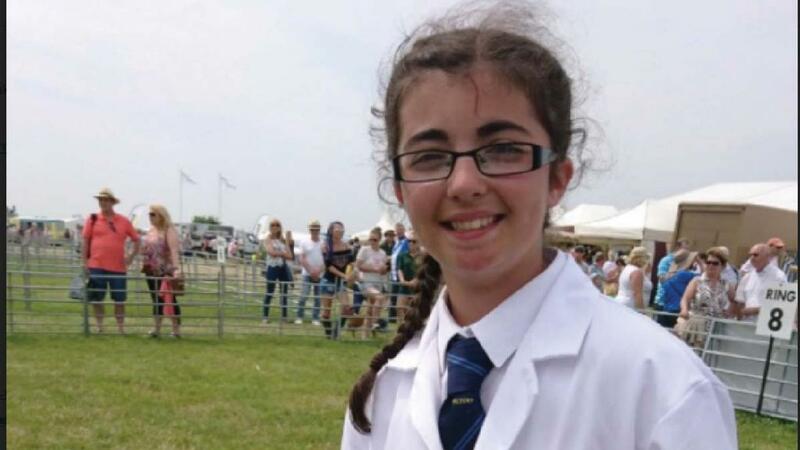 Fleur Taylor, 13, attends Bebington High School where she helps out on the school farm. She is also gaining other experience with local farmers to help achieve her dream of becoming a shepherdess. School farm: From a young age I have always loved animals and wanted to work with them, but I never thought about farming until I started secondary school. This is where everything changed for me. At Bebington High School we have a school farm where we keep sheep, pigs, chickens, ducks, goats, turkeys and our own sheep dog called Lief. The farm is fully functional and we sell our meat from sheep and pigs to students and teachers at school, as well as to hotels in Port Sunlight and a butcher in New Ferry. When we first start at the farm we are told how the animals we raise are sent off to slaughter, but we fully understand this is what happens on a working farm. Study: Anyone from Year 7 to Year 13 can join the farm and help. From Year 9 onwards, students can study an animal care BTEC and in Year 12 we can choose to study animal management too. The unit is partnered with Claremont Farm where we keep some of our Woodland pigs. We keep Hampshire Downs as they are a hardy breed and some are used as terminal sires too. Experience: Every year we enter our animals into the Cheshire County Show where we win rosettes and prizes. I now have two rosettes hanging on my wall, one for a young handler class in goats and the other for a young handler class in sheep, and I hope to add a lot more in time. Not coming from a farming background, the school farm has really helped in getting me interested in agriculture and my aim to be a shepherdess. Wanting to get as much experience as possible, I also work at a dairy farm in Brimstage, the Wirral, where farmer Donald Tyson owns more than 162-hectares (400-acres) of land with about 300 cattle. Working there has been really interesting as you get to see how different farmers do things. The days are long and there is lots of work to do, including setting up electric fences and feeding the cows. We also helped tag the newly born calves and helped farmers give straw to horses. In the future I want to be a shepherdess, but getting as much experience as possible is key. I think we need to get more young people into farming as we will need to carry on the farming tradition for many years to come.